My first Jugem, so far. 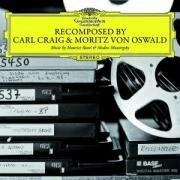 Japanese pressing of "Recomposed" will be 2 discs set with original recordings by Herbert von Karajan. You can also get from iTunes.